Executive coaching offers one-on-one sessions between a coach and an executive. The objective of executive coaching is to measurably improve the performance of the executive. Executive coaching enhances the individual, as well as the organizations they run, by providing mentoring, feedback, accountability and processes to help the performance and attitudes of leaders to improve and sustain results. Executive leaders are required to be highly effective individuals due to their positions of significant responsibility. They have their schedule and energy governed by their primary concerns, such as problem solving, profitability, bottom-line results and growth. In today’s ever-demanding and rapidly changing business climate, executives must keep up with the pace of their markets, while ensuring job security by learning to be proactive in developing their personal abilities and those of their team members and subordinates. This is where executive coaching comes in. Increasingly, executives are required to do more with less. Today’s leaders have to face multiple and increasing responsibilities, and often feel limited because they do not have enough hours in the day to effectively stay in charge of it all. Many individuals and organizations are turning to a professional coach who can be a trusted ally, friend and motivator. And, similar to a sports coach, an Executive Coach helps guide an executive to success with a winning plan to streamline strategy, business operations, and even personal requirements, so the executive is able to manage, balance and advance. 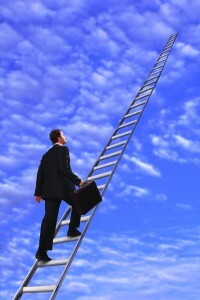 Executive coaching services meet this growing need in the corporate world. Just like successful businesses utilize the services of consultants and coaches, even the best and most capable executives need such services in order to stay on top of things in today’s business environment. We provide you with an ally whose loyalty is to you, and whose sole objective is your personal and professional success.